In The Mag, On The Web: The Latest On Broc Tickle's FIM/WADA Case April 3, 2019 For nearly a year, Broc Tickle has been in career limbo as the FIM decides his fate for failing an anti-doping test. Will he ever get his day in court? 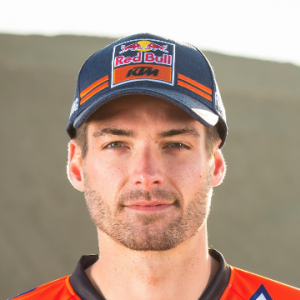 Broc Tickle Still in Limbo January 2, 2019 Tickle takes to Instagram to express growing frustrations over his provisional suspension from Monster Energy AMA Supercross. The List: Next Up December 18, 2018 The latest on Wilson, Bogle, and more. The Conversation: Broc Tickle September 24, 2018 "Everything is still up in the air. I still don’t have a hearing date yet." Gallery: Fox Raceway on a Tuesday September 12, 2018 Open practice or pro practice? Exhaust: Broc Tickle August 9, 2018 We talk to Tickle about his FIM suspension from a failed PED test and what's next. In The Mag, On The Web: Lights Out? July 5, 2018 Jason Weigandt talks to Broc Tickle about his provisional suspension in the latest issue of Racer X Illustrated, available today. On This Day in Moto: June 25 June 25, 2018 The two Ryans split wins at the Thunder Valley 450 National, Ken Roczen goes 1-1 at Muddy Creek, and more. Broc Tickle's Provisional Suspension To Remain In Place June 20, 2018 The FIM announced today that Broc Tickle’s request for lifting his provisional suspension for violating Article 7.9.2 of the FIM Anti-Doping Code has been rejected by the FIM International Disciplinary Court (CDI). The List: Pro Circuit Riders, Ranked June 20, 2018 Every PC rider, ranked for your enjoyment. On This Day in Moto: June 19 June 19, 2018 Dean Wilson takes his first professional win, Ricky Carmichael goes 1-1 at Budds Creek, and more. On This Day in Moto: June 17 June 17, 2018 Blake Baggett wins at Thunder Valley, Budds Creek hosts another Ricky Carmichael/James Stewart showdown, and more. On This Day in Moto: June 16 June 16, 2018 Ryan Dungey gets his sixth straight moto win, Jeremy McGrath goes 1-1 at Budds Creek, and more. The List: 5 Things to Watch In Silly Season June 13, 2018 With several riders' contracts expiring this year, we take a look at who might end up where during the off-season. The List: Questions and Answers June 7, 2018 Tons of injury and fill-in news this week. Here are the facts.